Premium Goods Mailbox Plus is the preferred parcel service for many Swiss online shoppers and retailers alike. It is a solution of Swiss Post's - our parent company - so we are able to work hand-in-hand with colleagues in Switzerland to bring this solution to UK retailers. It is the ideal home delivery service to Switzerland from the UK, with final mile delivery by Swiss Post, but also over 2500 PUDO points and a Delivery Duty Paid solution too. As well as parcel delivery to Switzerland we also offer customs clearance and returns logistics solutions. 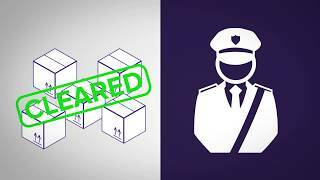 See how this parcel service to Switzerland could save you money, improve delivery options with Home Delivery and 2500 PUDO points, provide Delivery Duty Paid (DDP) solutions and customs clearance options. It's the service that Swiss shoppers love to see offered at Checkout, and retailers love for its ease of use and time and cost savings. Find out more about our Premium Goods Mailbox Plus service and how you can save money when sending parcels to Switzerland.